Part of Matt’s Colossal 10 – in September 2017, nine Weldmar supporters took on the challenge of cycling between each of Weldmar’s Charity shops. 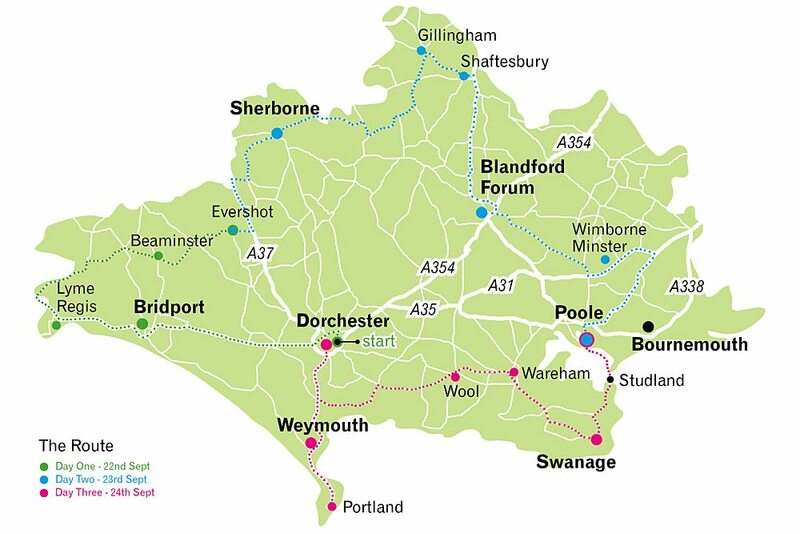 Starting on Friday 22nd September our team left Joseph Weld Hospice in Dorchester before making their way towards Bridport as well as Lyme Regis, Beaminster and finishing in Evershot. The second day saw them covering Sherborne, Gillingham, Shaftesbury, Blandford, Wimborne and Poole. The final stretch, on day three, saw them cycling through Swanage, Wareham, Wool, Portland, Weymouth and back to Dorchester. You can see a draft map of the route below – or go to our Strava route to view it now. Stretched over three days, this challenge was not for faint hearted!